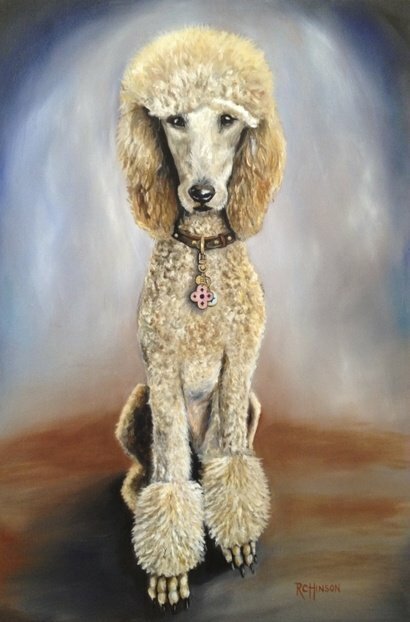 Commission an original oil painting by artist Rebecca Hinson. I paint animals, architecture, and southern scenes. If you are interested in having an animal or house painted I can work from photos. When you send the pictures, it's best if I have a few to go by, so email me a bunch! We will discuss the type of angle, layout, and any special details you'd like captured. If you like a piece I have already done we can work together to come up with one similar that has its own personalization. The most popular sizes are located to the right. If you want larger, just let me know and I can give you a quote. As soon as we have decided the content and size of the piece, a 50% deposit is due before I begin. Payment can be via my website with credit card, through an invoice I email to you, or by check. You may request 2 revisions along the way that are included in the pricing. Once the painting is finished and the client is totally satisfied, the remaining balance will be due. The painting will be shipped out soon after. Typical turnaround for an oil painting is 6-8 weeks after I begin. This time frame may vary depending on the time of year.